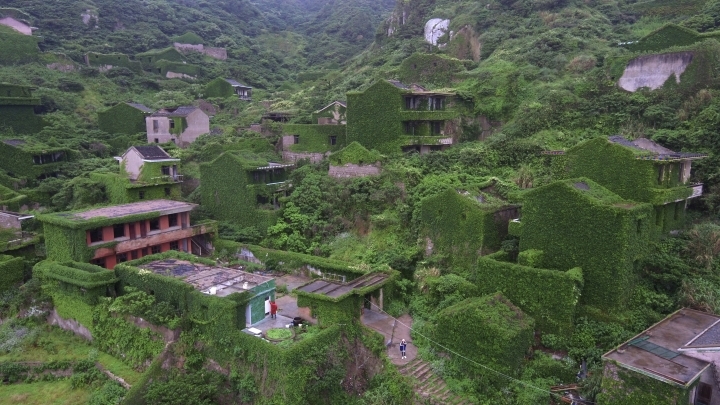 HOUTOUWAN, China — Blanketed with greenery, the ghost town is perched atop cliffs looking west into sea mists obscuring the horizon. 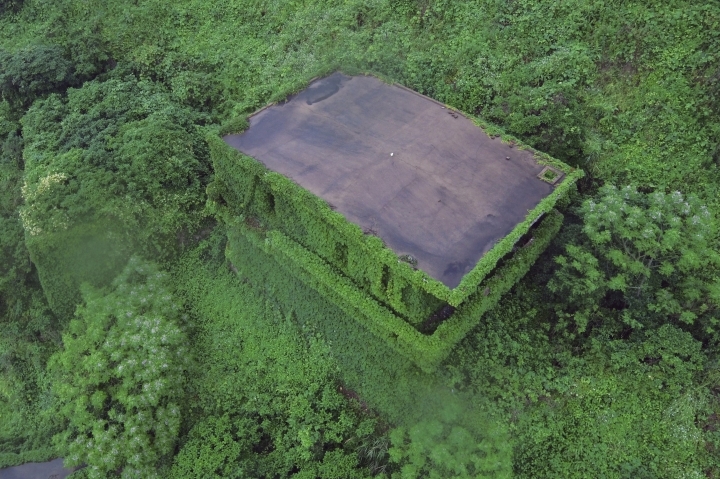 Abandoned homes ravaged by weather and creeping vines stand silent but for the surf, the whine of mosquitos, and birdsong. 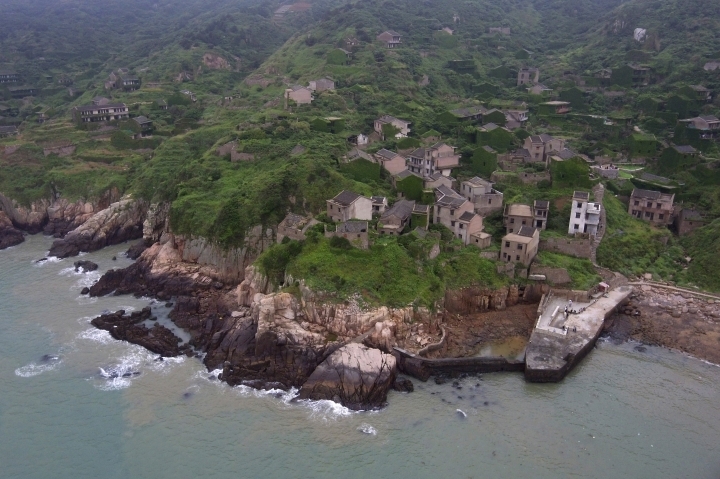 This is Houtouwan — "Back Bay" in Mandarin — an abandoned fishing village engulfed by nature on the far eastern island of Shengshan, 90 kilometers off the coast of Shanghai. The story of the Wang family may provide one answer. 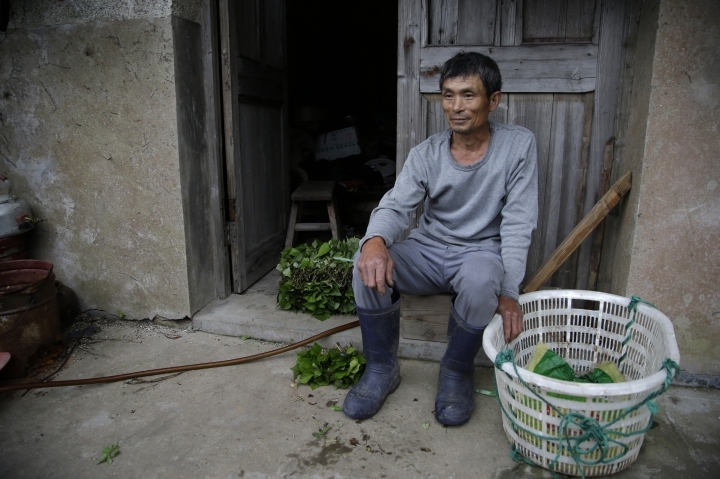 Wang Yi left the village at the age of 5 when his family moved to the island's main town to access its better services. Memories of village festivals draw infectious laughter from his mother Zhu Mandi, who still dreams about her childhood among the mist-shrouded mountains next to the sea. "I dream of playing here, and it looked like it did when we played here when I was young," Zhu said, pointing at her former family home. 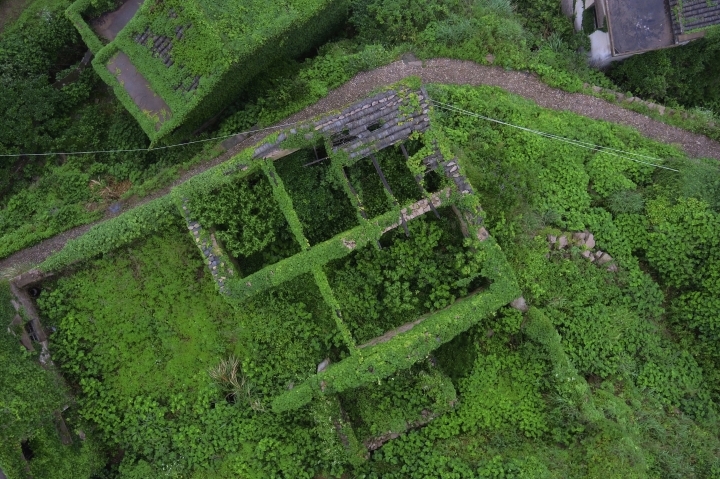 Vines have since wound through the three-story house and ivy has crept through the now broken wooden front door. 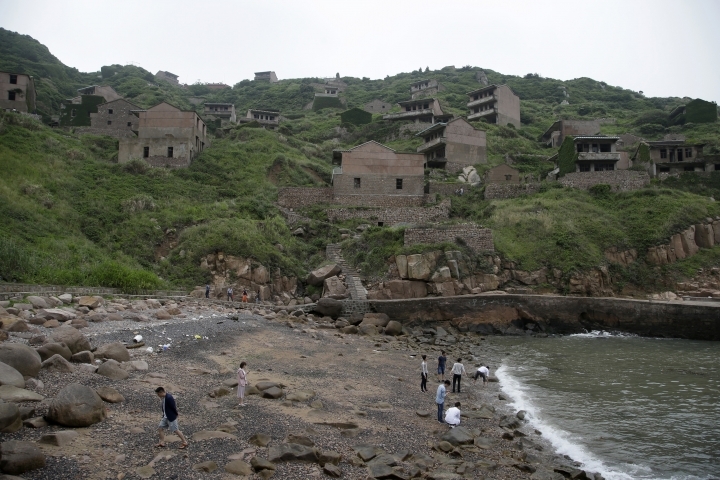 The island draws tourists from the mainland intrigued by the village's unique devastation. 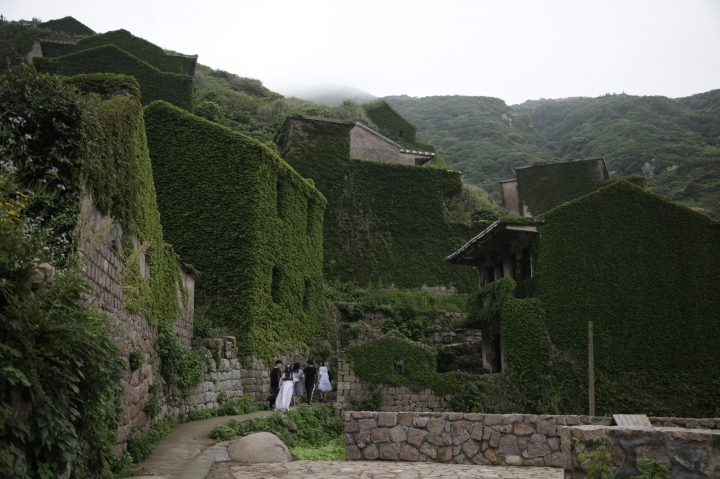 Ivy cloaks some buildings completely but on many Houtouwan houses, beautiful roof tiles still gleam and broken verandas offer majestic views of the stormy sea. 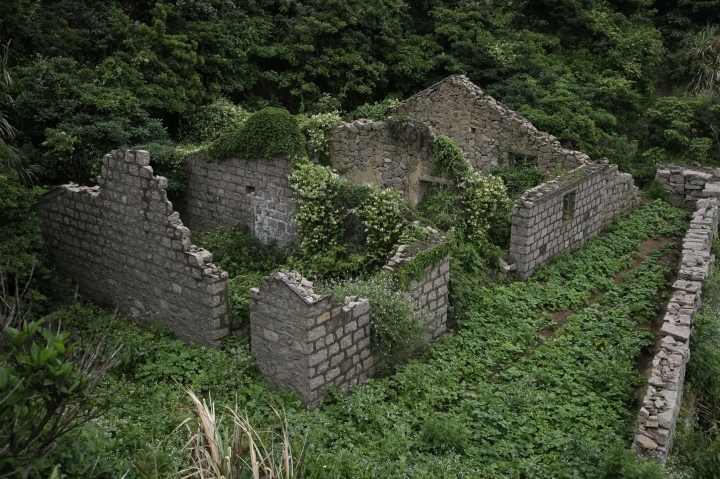 "It feels like this place belonged to nature from the very beginning, and the old invaders finally left, and nature finally made it back," she said. The village isn't entirely abandoned. 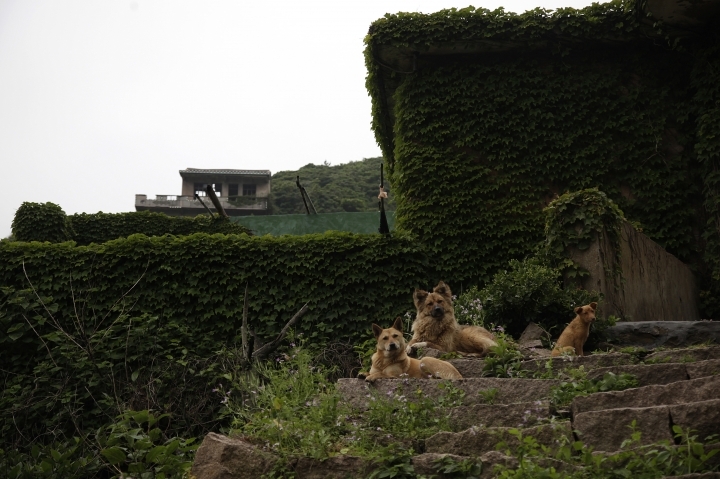 Five people still reside here with a relaxed pack of dogs that roam the empty homes. 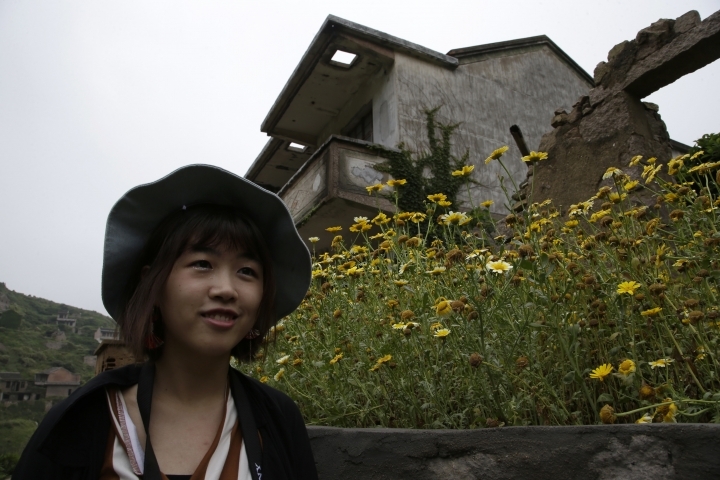 Sun Ayue lives in a small home just off the main path through the old village. The 62-year old former fisherman remembers the village's boom times — and the bust. China is the world's largest fishing nation. But poor enforcement of fishing regulations has led to a rapid decline in fish stocks. 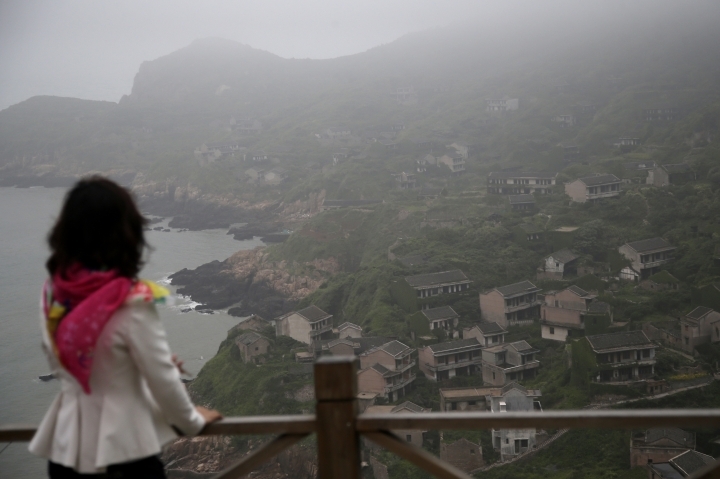 Wang Yi, the college graduate, said fishermen returned from the sea with emptier and emptier nets before China imposed seasonal moratoriums on fishing operations in the late 1990s to protect fish stocks from further depletion. Yet Sun says most of the village's 600 families ultimately left Houtouwan because it lacked proper roads and a school. 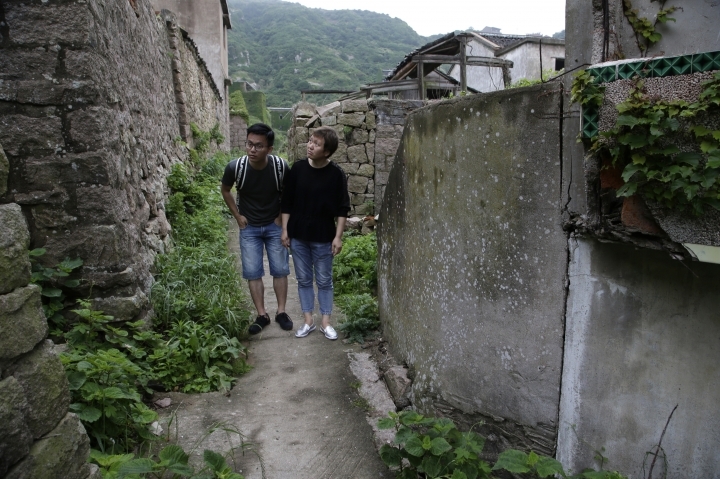 "Transportation was inconvenient," he said, making it difficult for teachers to get to Houtouwan from the main town Shengshan. "It was too far away. They arrived in the dark and left in the dark," he said. 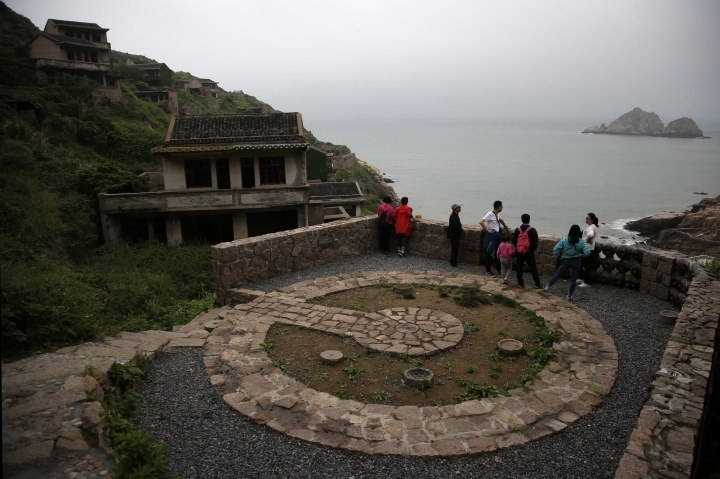 Houtouwan is "a microcosm of the entire Chinese society," said Zhao Yeqin, an associate sociology professor at the East China Normal University in Shanghai. 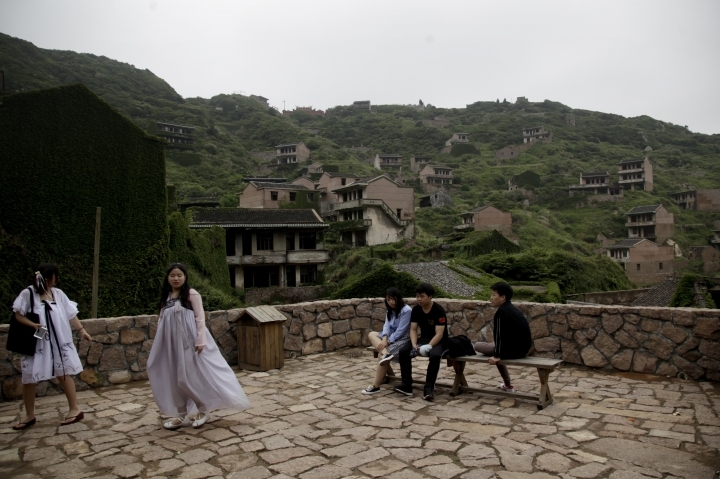 The village reflects a broader migration trend that has seen countless Chinese move from rural areas to urban megacities like Shanghai, Shenzhen and Guangzhou. 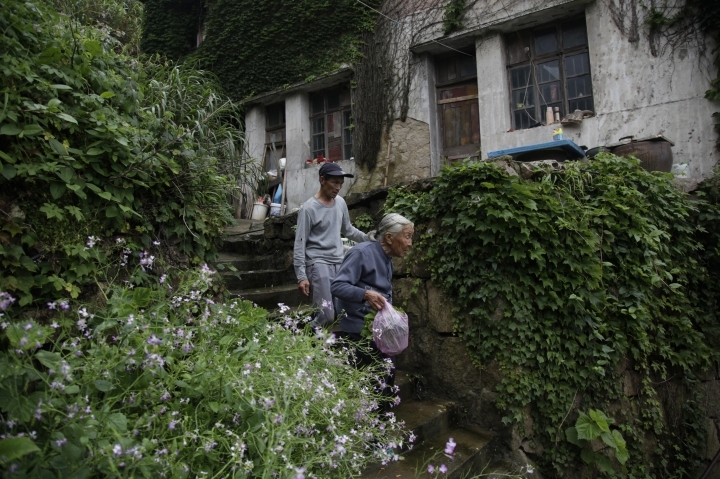 In Houtouwan's heyday, Lin Fazhen ran a small store in 1984 catering to fishermen. He sold cigarettes, alcohol, fishing supplies, canned food, biscuits and fruit that he imported on boats from the mainland. "They went to the sea when the boats were sailing, and they came back when it got windy. They played mahjong," Lin said while taking a drag from a cigarette. 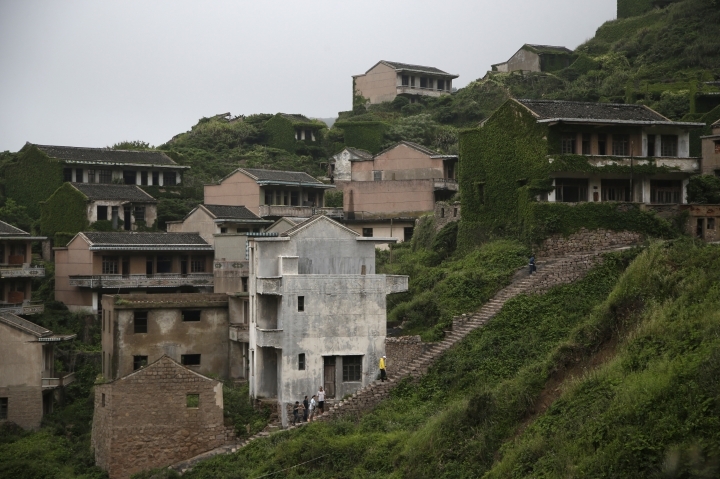 "People got scared and said ghosts were living here, so it was called ghost village," Lin said. "I've lived in this world for such a long time, and have never met one." To reach Houtouwan from Shanghai, take a bus from the Nanpu Bridge bus station or taxi to the Shenjiawan Dock, about 90 minutes' travel time, and purchase ferry tickets to Shengshan. Weather often grounds boats, so check ahead. The fast ferry takes 90 minutes, while the slower boat takes four hours to traverse the Shengsi Islands on its way to Shengshan. Hotels line both ports and offer rides up to the entrance to Houtouwan. 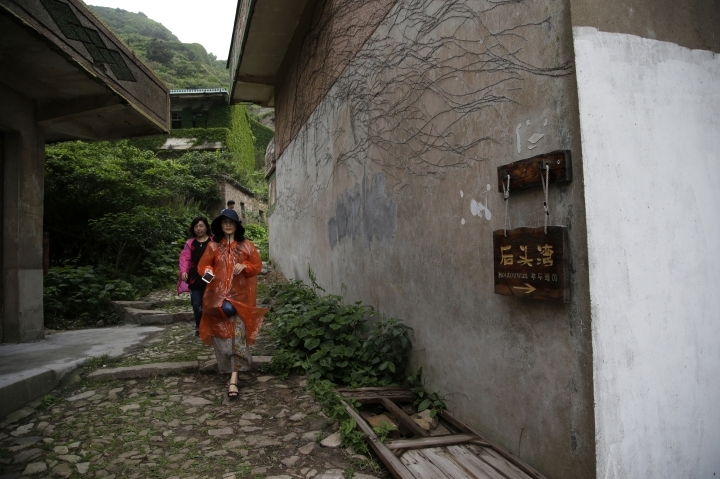 It is a 2-hour rigorous hike through the village.